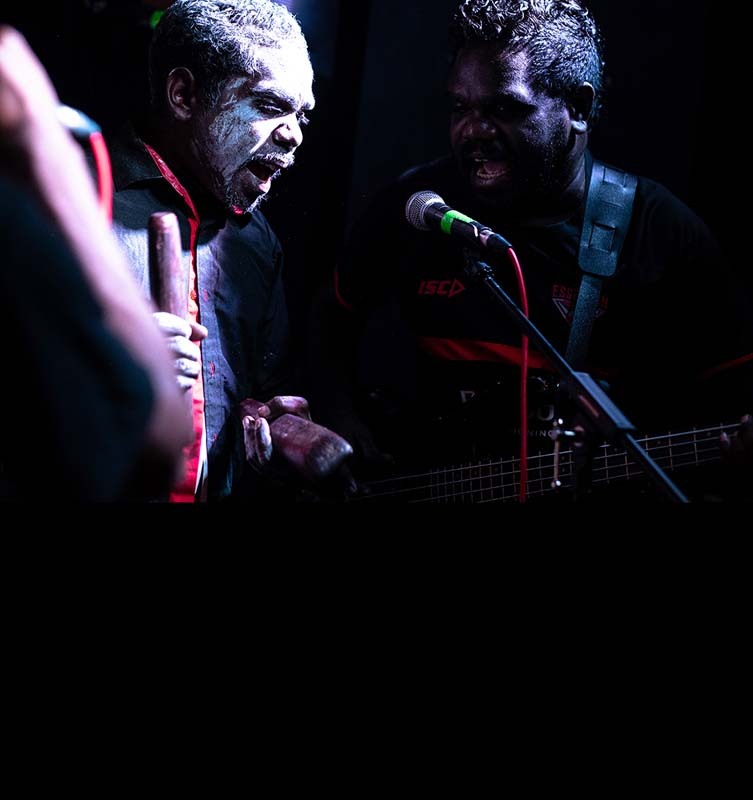 Hailing from Kakadu and their homelands in the West Arnhem region of the Northern Territory’s Top End, the Black Rock Band draw on a deep musical family history. They incorporate traditional and contemporary sounds with a steady rock style, singing in both Kunwinjku and English. This workshop showcasing cultural art, story, song and dance from the Western Arnhem Land Region, will be an informal sharing of stories and demonstration of techniques utilised in a painting style unique to the top end of Australia, including preparing a surface from bark, making brushes and grinding ochre.